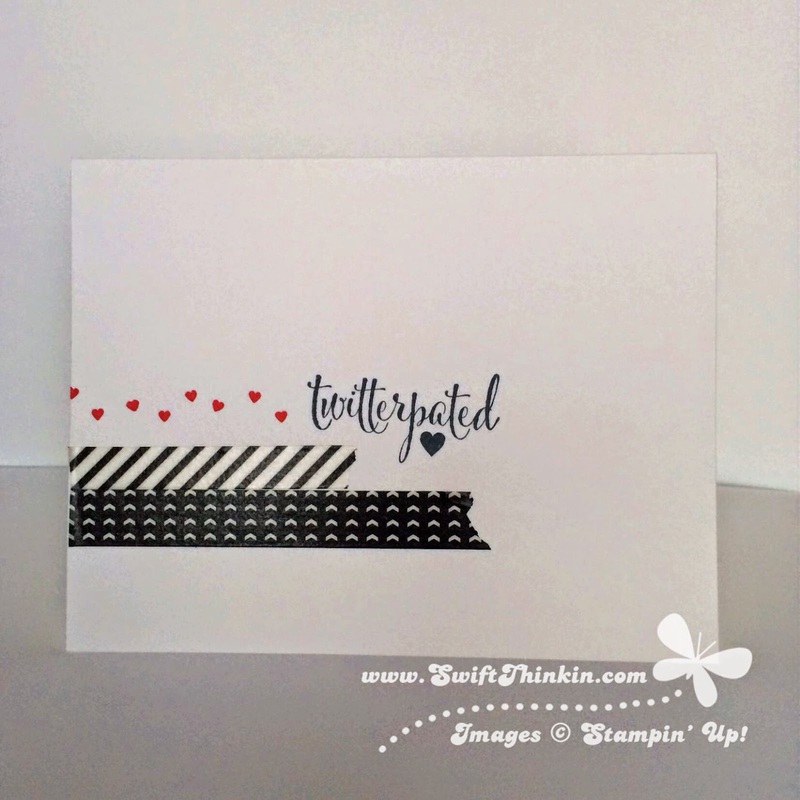 It is another super simple design, but oh so cute! I had to break out the fun matching washi tape for this one. If you haven't washi taped something yet you've got to give it a try! It adds such a fun whimsical look to your creation and it is so easy to work with (and very forgiving!). After I put this together I also received the new Happy Heart texture folder. I figured this was the perfect card to 'step-up' and make it a little fancier :) What do you think of the modifications? Wow what a difference and so simple to step it up.